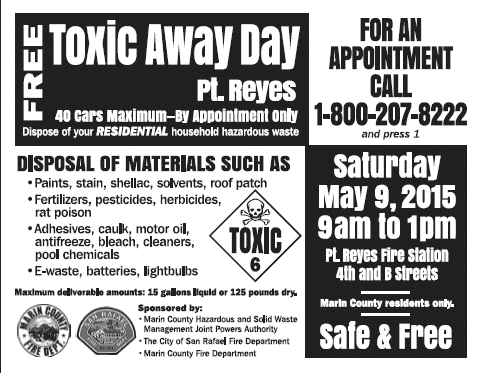 ZeroWasteMarin, in coordination with San Rafael Fire and Marin County Fire have teamed up for another exciting Toxic Away Day in West Marin. 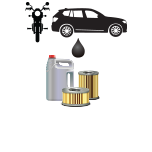 In an effort to reduce hazardous waste incidents, and to facilitate safe situations for our firefighters, Toxic Away Days are designed to encourage residents not to stockpile their hazwaste, but to dispose of it properly during these residential disposal events. 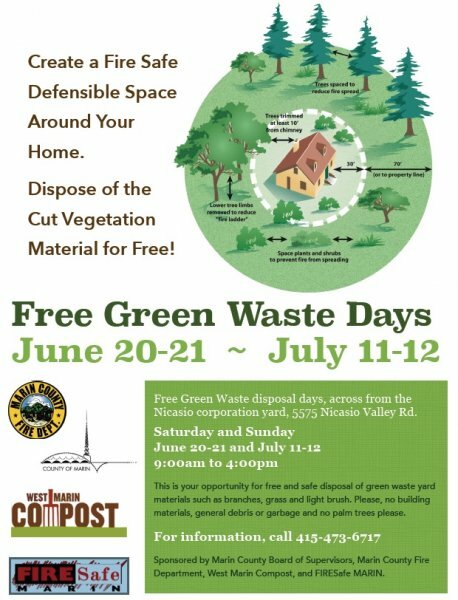 ZeroWasteMarin will set up a booth to hand out an assortment of ZeroWaste information and reusealble items, such as motor oil & filter recycling kits, reuseable shopping totes, reuseable produce bags, and coffee tumbers. Swing by and say hello while you are enjoying this great event.